Media accreditation for the 17th World Summit of Nobel Peace Laureates will be opened 2 months before the event and announced on the website and in social media. Accreditation is required for all media who wish to cover the Summit and its activities and/or to request an interview with the Laureates, guests and other participants. Press accreditation will be given to media professionals working for print, photo, radio, television, film, news agencies and online media who represent national or international media. To receive the press accreditation you need to provide a proof of a track record of reporting for media organizations. Accreditation through the online process is the only official channel to obtain press credentials for the next Summit. In case you would like to know more about the event before the accreditation process is open, please feel free to contact us using the form below. Please consider that any professional photo and video coverage of the Summit for any public purpose can be done only by accredited media representatives.  To arrange an interview with the Laureates or other participants please contact the Press office of the Permanent Secretariat, as this office is in charge of handling and scheduling all interview requests during the days of the Summit. Please feel free to email us, or complete the form below. Please note that due to a high volume of interest from the media, we are not always capable of responding to every request that comes through our system. However, we will respond to every journalist. Accredited journalists have free access to all open panels and workshops of the Summit, all media events (press conferences, briefings, interviews), as well as the press center and other media related venues. The World Summit of Nobel Peace Laureates aims to inspire, to educate, and to connect Youth and civil society to the experience and knowledge of Nobel Peace Laureates bringing mutual benefits to the hosting country and all participants of the event. However, our goals can be reached only in collaboration with our partners and friends who support us throughout the year and during the days of Summit. We’re always open for new partnerships and media sponsors who can provide precious support spreading the word about the Summit and its activities. Every year the World Summit of Nobel Peace Laureates becomes a meaningful public event attracting lots of interest from members of civil society, governments, youth, and both international and national media. In case you would like to support the Summit in terms of informational sponsorship, please email us and we will gladly share information related to being a media partner. Please find a wide selection of photo and video materials of the World Summit on our website and official YouTube Channel. While the use for the media is free of charge, we ask that you please consider the copyright of each photo and video and credit it accordingly with each publication. Further materials may be provided upon request. After 70 years Of Ethnic Cleansing And Global Complicity – Are We Racist?